Susan Mou, M.D., delivered the 2016 Marjorie S. Sirridge (left), M.D., Outstanding Women in Medicine Lecture and was recognized afterward by Marilyn M. Pesto, director of the Sirridge Office of Medical Humanities and Bioethics. Physicians in obstetrics and gynecology continually face complex, evolving ethical questions, and they need thoughtful processes and diverse support to make their best decisions. 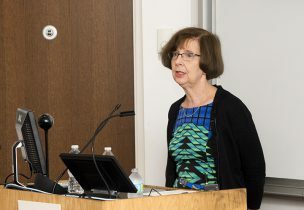 That was the message of Susan M. Mou, M.D., an associate professor in the School of Medicine’s Department of Obstetrics and Gynecology, who delivered the Marjorie S. Sirridge, M.D., Outstanding Women in Medicine Lecture on Sept. 15 at the school. Mou started her address, “Ethics in Reproductive Medicine,” by saying she was a general obstetrician/gynecologist and “not a bioethical scholar.” Rather than offering answers, she wanted to share what’s going on “in the trenches” and get students thinking about ever-present ethical issues. Mou said such issues and questions had existed throughout her career, starting with her residency at the University of Rochester, when steroid use for likely premature deliveries was relatively new. The questions have kept changing, she noted, with advances in many areas, from in vitro fertilization and reproductive endocrinology to HIV treatment. Such questions often involve weighing possibly competing interests, Mou said, such as fetal health versus maternal health, or a mother’s autonomy and emotional needs versus what appears best for her physical health. Difficult pregnancies make for difficult questions, such as when a fetal condition makes a live birth unlikely, and interventions to promote live birth might not be in the mother’s long-term health interests. But physicians must consider whether to take those steps, and how far to go with them, Mou said, when the mother has expressed a great desire for the chance to hold her live baby. According to Mou, the models for evaluating such questions also have evolved, so that a woman’s culture and living conditions and communal network can be considered, along with traditional principals such as autonomy, justice and beneficence. Treatment and care can be more effective, for example, when they account for barriers such as transportation and work schedules, rather than judging a woman for missing neonatal care appointments. Mou also said approaches that see care for pregnant women as the best way to also care for their developing fetuses can overcome past perceptions of conflict between maternal and fetal well-being. The growth of bioethics studies and decision committees has resulted in practicing physicians getting more help and support in making the toughest calls, Mou said. “We need to be aware of ethical principles and practices. We need to utilize ethics committees and other resources. 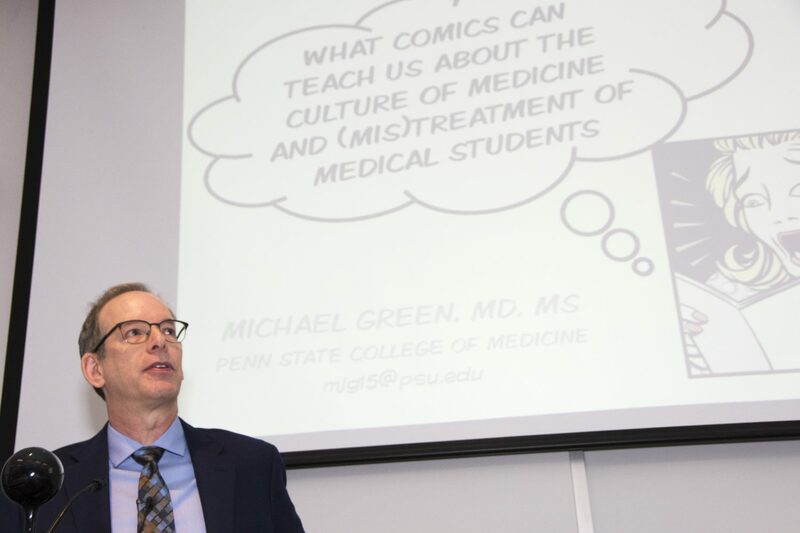 It’s so important to have the Sirridge Office of Medical Humanities & Bioethics” at the School of Medicine. Though Mou claimed no credentials as a bioethicist, she has been a leader in women’s health teaching and treatment for more than three decades. She is the director of the Breast Clinic and OB Simulation for Truman Medical Centers, and has special interests in general obstetrics and gynecology, pediatric and adolescent gynecology, peri-menopausal issues, vaginitis, and infection disease in obstetrics and gynecology. Her Sirridge lecture followed more than 90 presentations she has given from coast to coast, including Milestones and STI Lectures at UMKC. Mou’s more than 60 publications include research studies, book chapters and abstracts. She provides peer review for the Journal of Maternal-Fetal & Neonatal Medicine and for abstracts for the American College of Obstetrics and Gynecology. Mou began teaching at the School of Medicine in 1984. She was director of the school’s residency program in obstetrics and gynecology with Truman Medical Centers and Children’s Mercy Hospital from July 2012 to September 2014. 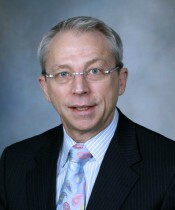 Mou was section chief for gynecology surgery at Children’s Mercy in the 1990s. Several members of the Sirridge family attended the lecture this year. 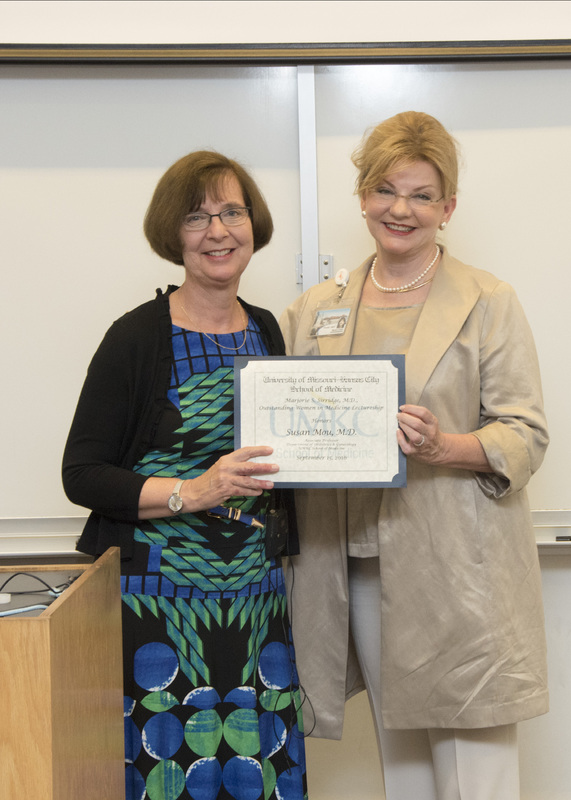 The Marjorie S. Sirridge, M.D., Outstanding Women in Medicine Lectureship was established in 1997 to recognize Dr. Sirridge’s dedication, compassion and advancement of patient care and medical education in Kansas City. 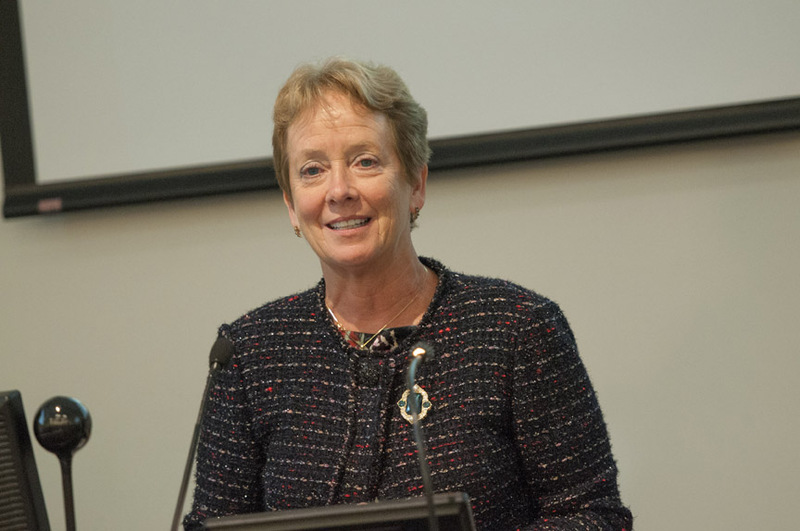 Julie Freischlag, M.D., dean of the school of medicine and vice chancellor for human health sciences at the University of California-Davis, presented the 2015 Marjorie S. Sirridge, M.D., Outstanding Women in Medicine lecture on Sept. 10. When Julie Freischlag, M.D., was only 6 years old, she skipped first grade … and got a few words of advice from her grandfather. “He told me at that time that people are going to say you can’t do this, and you’re going to tell then that you can,” Freischlag said. 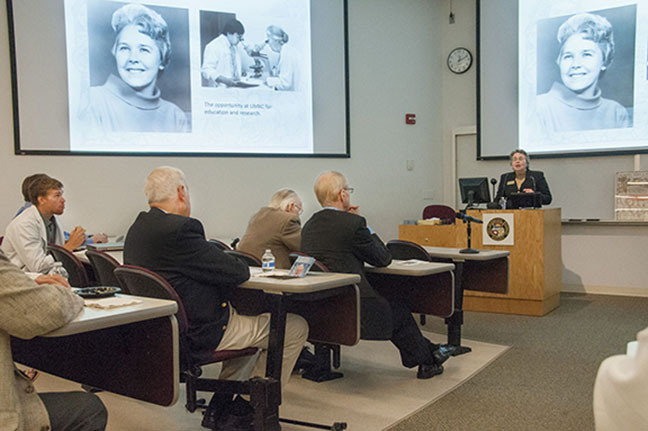 As the keynote speaker for the 18th annual Marjorie S. Sirridge, M.D., Outstanding Women in Medicine Lecture on Thursday, Sept. 10, Freischlag talked about resilience and how she has spent a lifetime rising above the stacked odds to become a surgeon and role model for women in medicine. She currently serves as dean of the school of medicine and vice chancellor for human health sciences at the University of California-Davis. While in college, Freischlag opted to go to medical school rather than become a high school biology teacher when the college closed its education program, believing it was producing too many teachers. She entered Rush Medical School with the idea of becoming a pediatrician. During her clinical rotations, Freischlag discovered her passion for surgery and decided to become a surgeon instead — a rarity for women at the time. When she attended her surgery residency interview at the UCLA medical school in 1979, she was the only woman in the audience. Throughout her career, Freischlag continued to smash through the glass ceiling for women, becoming just the second female vascular surgery fellow at UCLA and only the sixth woman in the country certified for vascular surgery. She became the first woman in the vascular surgery division at University of California-San Diego; the first woman chief of vascular surgery at UCLA; the first woman to achieve the rank of professor of surgery at the Medical College of Wisconsin; and, eventually, the first woman chair of surgery and the first woman William Stewart Halsted Professor of Surgery at Johns Hopkins. She is also the first woman to chair the Board of Regents of the American College of Surgeons and the first woman president of the Society for Vascular Surgeons. During her 11-year stay at Johns Hopkins, Freischlag was the only woman to chair a clinical department. Freischlag currently oversees academic, research and clinical programs in the UC-Davis Health System that include the schools of medicine and nursing, a 1,000-member physician practice group, and the UC Davis Medical Center. She said that women in medicine should no longer be invisible, and that more women need to be encouraged to enter the arenas of medicine and science. Julie A. Freischlag, M.D., dean of the school of medicine and vice chancellor for human health sciences at the University of California-Davis, has been selected to present the annual Marjorie S. Sirridge, M.D., Outstanding Women in Medicine lecture. Her presentation will take place at noon on Sept. 10 in Theater C at the School of Medicine. 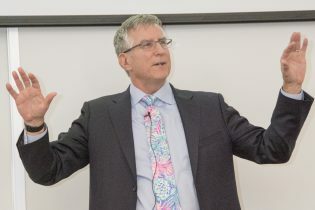 Freischlag, whose lecture topic will focus on “Resilience,” is recognized as a prominent leader among academic health centers in the United States, having led education and training programs at top medical schools for the past 15 years. In her current role at UC Davis, Freischlag oversees academic, research and clinical programs that include the school of medicine, the Betty Irene Moore School of Nursing, a 1,000-member physician practice group, and the university’s medical center. Prior to joining the UC Davis Health System, Freischlag was chair of surgery and surgeon-in-chief at Johns Hopkins Medical Institutions. In those roles, she spearheaded initiatives to expand research, add specialty clinical services, and improve patient care and safety. On a national level, Freischlag has served as a former governor, secretary of the Board of Governors, regent, and immediate past chair of the Board of Regents of the American College of Surgeons. She is also the immediate past president of the Society for Vascular Surgery and a past president of the Society for Vascular Surgery Foundation. A prolific author, Freischlag has more than 225 publications and is recognized internationally as an expert in thoracic outlet syndrome. She has received numerous teaching and achievement awards, has been named a “Top Doctor” by Baltimore Magazine, and was selected as one of the “10 most powerful moms in health care” by Working Mother Magazine. Freischlag’s research activities include a prospective trial tracking more than 800 patients from 34 Veterans Affairs Medical Centers throughout the country to compare outcomes among open and endovascular repairs for abdominal aortic aneurysm. 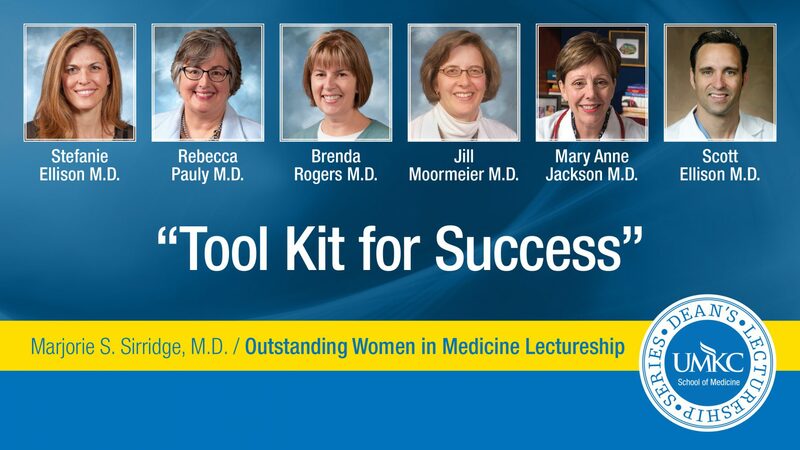 The Marjorie S. Sirridge, M.D., Outstanding Women in Medicine lecture is open to students, faculty, alumni and staff.